Have you ever sat around surfing the Internet looking for entertainment ideas for Christmas party planning? Has any of your searches ever led you to YouTube? If so, you are like many of us aimlessly wandering around the Net in search of something eye-catching. I have an idea for you. Think funny. There are some hilarious comedians showcased on YouTube. Hours can be spent watching funny jokes and original skits. Have you been the one left in charge of planning that huge Christmas or Holiday party for your office? Not sure about what type of entertainment to use? Well, look no further. Here are some fantastic entertainment ideas for Christmas party. One of these great ideas is to hire an entertainer for your party. The mood will be more lively and jolly, and it will not be because of some drinks! Not sure where to start? Now here are some excellent choices for your entertainment ideas for Christmas party. 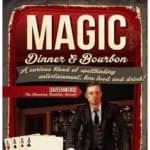 Jeff Hobson is a well-known magician comedian that has been very successful and continues to strive at his art. He has been on many tv shows, has directed and starred in his shows and never misses a beat. If you want pure magic this Christmas, he will come shining through. Joe Castillo is a very intriguing person. If you want something unique and different for your party, then you need Joe. He is a storyteller but not in the usual way. Joe creates “sand stories” in which he draws out a picture through the use of sand and at the same time tells a story to go with it. Indeed a masterpiece of beauty, Sand Art would go along well with the holiday cheer. Mark has dabbled in many areas of acting and writing. He is most famous for his voice talents as well as a comedian. Mark is a well-rounded comedian that talks about everything and anything. In particular, he is easy to relate to through his comedic skits about life, marriage, kids, growing up and just general life observations. Taylor Mason is a funny man who can do more than stand up comedy. He is also a musician and a ventriloquist. 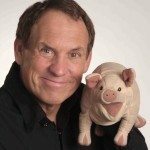 At times, he works with a pig puppet and can make you laugh even while you are wondering why a grown man is standing on stage with a pig on his hand. When someone can distract you from the absurd and make you laugh, you know they are funny. Mason continues to make audiences laugh with his variety show of comedy, music, and ventriloquist acts. If you want a hard-working, average Joe sort of man that makes daily live more livable, Taylor is the man for you! He is a family entertainer and is loved by all who see him. He is the perfect addition to any corporate or local event. Check out these the comedy videos from YouTube to see just how funny they are. Your annual Holiday celebration would benefit from bringing one of these professionals out. So strap in and enjoy the ride! Be sure to take a breath between laughs now and then. Bob Nelson is like a dozen specialized comedians rolled into one. He is spent years refining his act as the opener for Rodney Dangerfield. You never know which character you are going to get until he walks up on stage. Will it be a boxer, a chicken rancher, or will he settle down to reminisce about days gone by wryly? We are often prompted to build walls around ourselves in response to stress. It is natural, but if we spend too much time with them, it is unhealthy. Bob Stromberg is here to tear down those walls. When he is finished, you will have a new appreciation for your fellow human beings. What can a magic man in a dragon suit do for you? What can’t he do the better question? John van der Put has wowed audiences the world over as Piff the Magic Dragon. Watch his hands as close as you like; you will still be laughing too much to figure out how he did it. Daren Streblow is the self-proclaimed “King of Uncool.” As the host of his syndicated radio clean comedy show, he specializes in a kind of classy observational stand-up comedy suitable for any crowd that appreciates an easy-going attitude. Dan Naturman has a unique blend of grouchy enthusiasm that is compelling. He makes you go there even if it is not your nature to be pessimistic and makes you laugh when you agree with his deductions. Funny comes naturally to this New York comedian. From movies to television to game shows, Louie Anderson is a well-known Las Vegas comedian. Garnering the respect of fellow comedians and entertainers, Louie Anderson is considered a very nimble comic. He is subtle and easy going, but you get his point. Michael Joiner makes you feel like you are sitting at a sports bar talking about the game. His stand up comedy is so smooth and natural you feel like he is telling you a joke alone instead of standing up on stage in front of a large audience. His delivery is endearing and memorable. You do not get a name like Mr. Punchline for nothing… Moreover, with clean comedy, no less. He has been known to deliver more than eight jokes in a minute with his rapid punchline style. You do not have the chance to get bored at a Scott Wood show. Michael Jr. is an amazingly funny comedian whose performances make him a comic that everyone can enjoy without embarrassment. His fresh stand up comedy, smooth delivery and hilarious content make him a rising star to watch. If you enjoy their acts, you could book these corporate comedians for your next function. They are perfect for Holiday celebrations because they are clean comics who know how to make you laugh without using controversial subject matter. As a party planner, the show you organize significantly influences the experience of the Holiday season. When considering ideas for Christmas party entertainment, you want to pick the show that best suits the needs of your guests. Whether it is an intimate gathering or a raucous convention, these entertainers have got just the merry you need for an unforgettable Holiday Season. Managing a Christmas party can take a lot of time and effort. However, by doing just a little research, you can make it the best party ever. Some of the entertainment ideas for Christmas party mentioned here today should help you begin your search for that perfect touch to your party. These entertainers can provide the entertainment fix that you are looking for. Check them out! The Holidays are that special time of year where people can come together in celebration of the good times gone by and the great ones yet to come. Unfortunately, it is also the time of year where there always seems to be a million things scrabbling for our attention, meaning those celebrations become such a chore to organize. 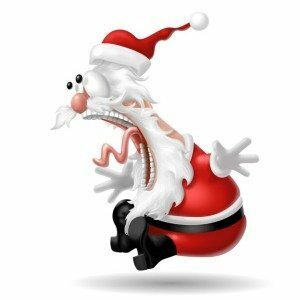 What event planner has time to painstakingly vet ideas for Holiday party entertainment when there’s still presents to buy, crowds to fight, and all the other stresses of everyday life to manage? Let’s face it, searching out your party entertainment takes many efforts that you just cannot spare. It would be easier if someone could provide a list of good acts to pick from. Fortunately, someone has! If you are stuck on ideas for Christmas party entertainment, here are five performers guaranteed to put your guests in that happy mood needed to enjoy the Holiday season fully. When was the last time a comedian made you laugh in 30 Seconds? Can Joe Castillo Match One of These 3 Challenging Types of Events?